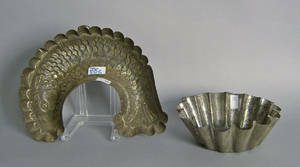 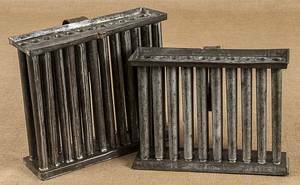 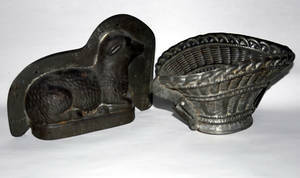 052280: ORIENTAL CONTEMPORARY PLAQUE 21"
Two tin molds, ca. 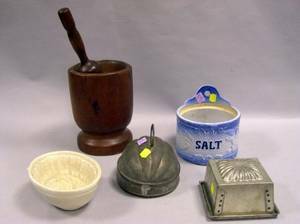 1900, 8 1/2" w. and 12" w.
Glazed Stoneware Salt Box Pottery Sheaf of Wheat Pudding Mold Two Tin Molds and a Wooden Mortar and Pestle. 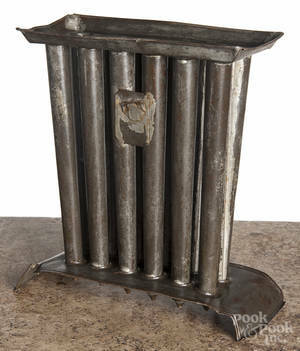 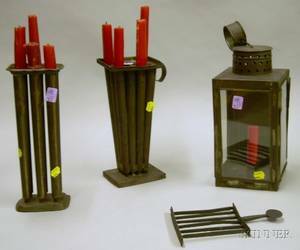 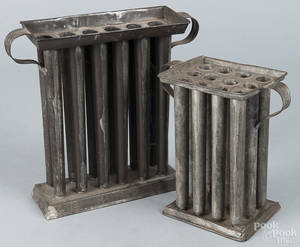 Two Tin Candle Molds Tin and Glass Lantern and a Small Wrought Iron Roaster. 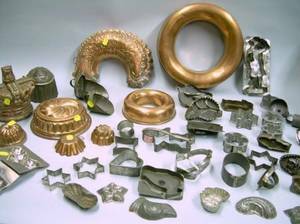 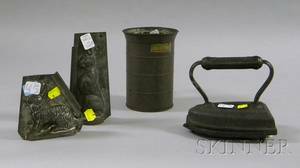 021600: AMERICAN TIN MOLDS, 19TH CENTURY, TWO, L 7 1/2"
Three Copper Teapots a Watering Can Three Tin Molds a Viking Brass Lantern and Tw Wooden Bowls.